Has the countdown begun in your house? I know it has in mine. Only 14 days left until the end of the school year here in Northern Ireland and I for one can’t wait. I have always loved this time of year when I look forward to two months of no school lifts to do, no homeworks to check, no uniforms to wash and iron, no lunches to make and when unplanned days of just going with the flow lie just around the corner. I have always loved having the kids at home for long, lazy days in the summer and now that they are older and like to do their own thing I kind of miss not having any little ones to take to the park or the movies or even just to be in the house playing games and making the place feel busy and alive. 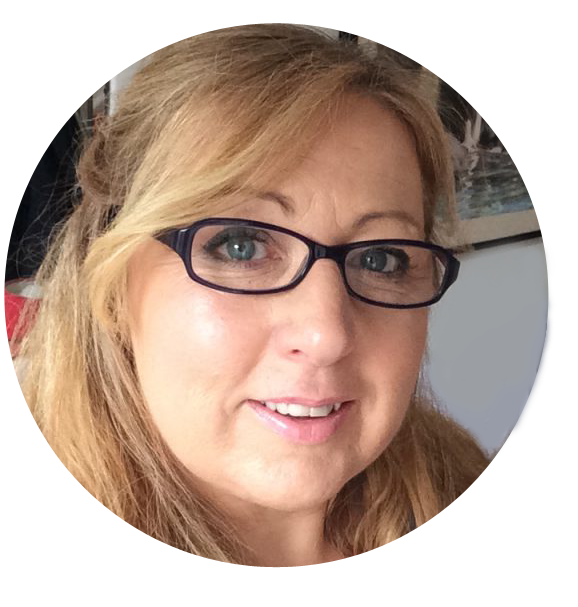 Our house was always full of their friends in summer and there was always the sound of laughter and chatter as they jumped on the trampoline, swung on the swings or played in the paddling pool. Now I tend to hear music blasting out from their rooms and they only appear when they want fed lol. One of my other favourite things about this time of year has always been choosing a present for their teachers. I usually tried to get something a little different as I know that teachers are inundated with sweets and smelly stuff at the end of term. Quite often I made things myself which would mean something to the teacher. At the end of my son’s first year I made a cross stitch sampler for his teacher of things that they had done during the year and a personalised card to go with it. Another year the girls helped me make a salt dough plaque of children in their school uniform. When the head mistress was retiring I organised the whole school to make a massive quilt. Each child in the school designed a square and then fabric painted it. Myself and another mum then stitched them all together and I cross stitched all the childrens names around the edges. 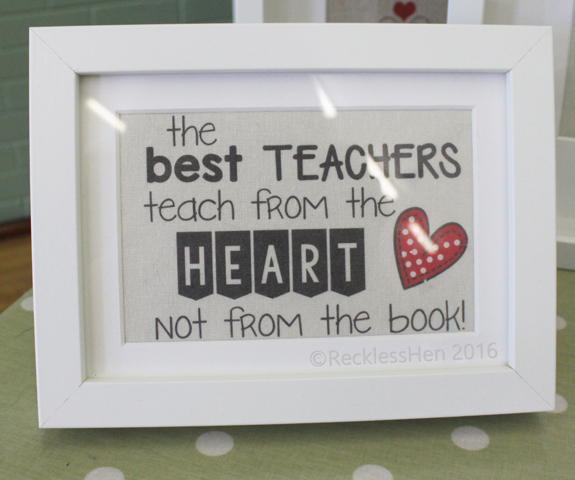 Although my kids are too old to do teacher presents now I thought I would like to design a printable that could be framed and sit on a desk or go on the wall. This is what I came up with – it’s printed on linen blend fabric using some fab fonts from Kimberly Geswein and framed in a 5×7 frame. I think it’s cute – what do you think? Are teacher presents an end of year tradition where you live?